Day One: No Internet, No Cell Service, No Electricity – What Do You Do To Make Sure You Are A Survivor Instead Of A Victim? We have all seen the information on possible SHTF scenarios, from terror attacks of the grid, to solar events, to EMPs, economic collapse, etc…. and many of here joined on comment threads sharing excellent prepping tips and ideas, but after seeing multiple reports from Thursday where Internet outages, cell phone outages and even a transformer blowing, the question occurred to me as to what exactly each of us would do on “day one,” if we woke to no internet, no cell service, and no electricity at all. 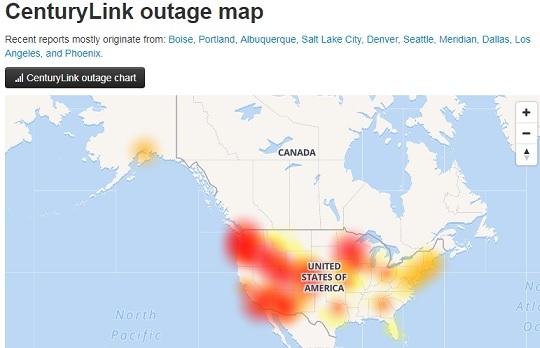 On Friday NBC Los Angeles reported on nationwide Internet outages that affected Century Link customers in multiple states, and knocked out 911 emergency call centers in Washington state, Missouri, Idaho and Arizona. Reports from other states also show that services were interrupted as well. In our own comment section, ‘Dan from Ohio,” mentioned “Same here, hell yesterday evening Internet service went down from Idaho to Ohio for awhile, made me wonder….,” which brings me to the reason I wanted to get this article out. Bad enough if your cell service goes out, or a landline for those that still use them, or you fire up your computer and have no Internet, but what would any of us do if we lost everything at once, not knowing if it was a temporary issue or if “something” happened nationwide. Many of us have lost electricity for a short period of time, whether from a storm, a blown transformer, or any random reason, and the first thing we do is call the electric company to find out how widespread it is, and when they expect service to be restored. What happens when you cannot call them because cell service is out, and then find your landline isn’t working either? For the sake of this article we are going to assume the “event” was not an EMP attack or a massive solar event, so one might jump in their car and drive a ways to determine if the power outage is local or more widespread, maybe also look to see if any crews are working on the electrical lines. Once we have determined it is more widespread than just our immediate area, next thing would likely be to pull out your short wave radio to listen and see how widespread it is, and whether it is a nationwide outage. After learning it is nationwide, or even statewide with no indication when the lights will come back on it time to decide what to do to prepare for day one without power.